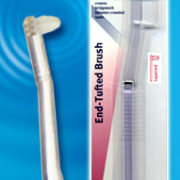 SKU: 300410813147. Categories: All Manual Toothbrushes, Oral B Manual Toothbrushes. 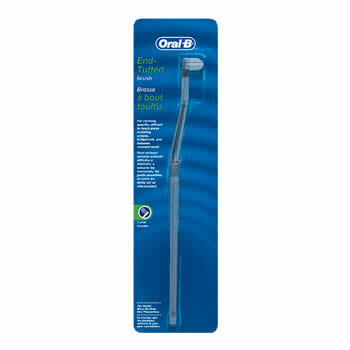 The Oral-B End-Tufted Brush is perfect for cleaning specific, difficult-to-reach areas, including between crowns, bridgework and crowded teeth. 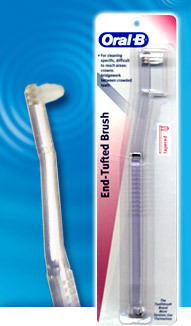 A favorite among many, this toothbrush gets inside teeth and really cleans.